With so many binary brokers on the market today, most traders prefer the licensed ones over unregulated ones. Markets World is a binary broker regulate d by the authority of Island of Man. Traders who decide to put their trust in this broker can expect, most of all, exciting bonuses and promotions, with no hidden terms and conditions. Also, there is a free and unlimited demo account, as well as reliable and responsive trading interface. Minimum deposit of only $10 makes MarketsWorld an interesting choice. 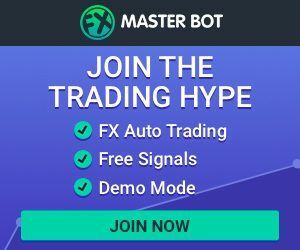 Start trading with only $10! Make sure to read our MarketsWorld review below, simply to find out what is waiting for you. The most important benefit traders get when trading with this broker is actually trading in regulated environment and with a licensed broker. Also, Marketsworld doesn’t rely on different account packages that can get quite expensive for those that want all features available on the platform. Traders can select either to use a real trading account or a demo account. Minimum deposit for the real trading account is only $10, but that doesn’t mean you should skip the demo. MarketsWorld demo is completely free of charge. Traders only have to register, and they will get $5,000 virtual funds. Don’t waste this money, even if it is only existing in cyberspace, as demo account is the best learning tool you can get. Learn more about the platform, test strategies, try new assets etc. Considering that MarketsWorld demo is free, it won’t cost you anything to simply try to trade with virtual money first, but this step will definitely reduce the time wasted on getting familiar with the platform once you finally start real trading. Registration for demo account is simple and straightforward. As already noted in MarketsWorld review, this broker has an interesting bonus system that traders can use. All terms and conditions related to these promotions are available on the website. Make sure to understand that bonus is not free money and that it can affect your withdrawing ability. This bonus can be added to your account even before you make a deposit, but only if you use the correct bonus code – NDB10. In that case, you get $10 bonus. The required trading volume you have to reach before the withdrawal is x50. For full bonus policy, make sure to read Terms and Conditions on the website. MarketsWorld review showed how this broker is willing to cover any potential losses on your first trade, and up to $50 investment. If you make profit, you take it. If you predict wrong, the broker will cover the eventual losses up to $50. The bonus amount (the amount the broker added to cover your loss), has to be traded at least once before the withdrawal. If you have a friend interested in binary trading, refer them to MarketsWorld, and you will get match up to $500. You’ll have to reach x50 trading volume before the withdrawal. MarketsWorld will match up 100% of your first deposit, up to $1000. All you have to do is activate this bonus by using the code 100CM. The required trading volume is x50. MarketsWorld has a proprietary software developed by a team of online professionals, based on the needs of MarketsWorld traders. It is pretty straightforward and simple. Navigation is easy and even traders who never placed a trade in their life will be able to find what they need. Still, it is always good to use MarketsWorld demo before the real trading takes place. Also, MarketsWorld platform has a very responsive design that is easily adjusted to screens of all sizes. You can trade from your laptop, tablet or mobile phone with the same account and without any downloads as long as you are connected to the internet. Make sure to keep your login credentials safe and don’t share them with anyone, ever. MarketsWorld is a broker that promises quite high returns, even up to 90% which is rather impressive. MarketsWorld offers mostly short-term binary trading with shorter expiry times. Also, you can enjoy trading all popular underlying assets which enables great portfolio diversification. Customer support is important as it enables you direct communication with the broker, usually represented by agents. MarketsWorld has a very solid customer support that proved to be reliable and professional. This means they were focused on our questions, rather than on selling us their product. Of course, the agents are not allowed to give any trading advice, and MarketsWorld agents remained professional and never forced any pressure on us. Traders can, for example, use live chat. Simply click the icon on the website and start chatting with an agent. They usually respond within few minutes. You can also use email, fax, and phone, but these methods require a bit more effort. When you are using live chat, you are connected to the broker almost immediately and can do multiple things at once. Also, there is a written trace of the entire conversation. If you are not very talkative, make sure to check out the FAQ section. While it doesn’t offer all answers you might have, it covers more than a few popular questions. All answers in FAQ are straightforward and easy to understand and there is no bad English on the website. MarketsWorld requires a minimum deposit in the friendly amount of $10. The minimum deposit is the same – $10. Minimum trade is $1, which means that for the minimum deposit you can execute 10 trades! All first withdrawals in a month are free and the broker won’t charge you any fees. However, every subsequent withdrawal via bank wire is charged a $50 fee. Also, your bank or online wallet may charge you more fees, but MarketsWorld can’t influence that. This broker is owned by MarketsTheWorld Limited, a company that is licensed on Isle of Man, UK. Make Money from Binary Options? If so Where should I start?